Search Springville Utah Twinhomes for Sale! 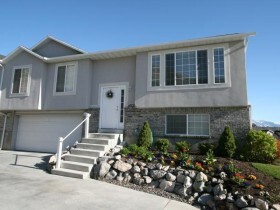 Springville Twinhomes for Sale; Springville Utah Twinhomes for Sale. Our search offers the best online, live search engine in Utah County. The search has listings of all Springville Homes, condos, and townhomes for sale. When you subscribe to our Buyer's Club you will receive daily emails of every new listing and price change within your search criteria. You will have free unlimited access to every home listed for sale in Utah County. Remarks: ****See 30+ photos, click tour**** Awesome family home. Immaculate condition, clean, and family friendly! lots of up grades including: Spacious kitchen includes bar, nook, knotty alder cabinets, and tile. Bath and entry also tiled. Crown and bead-board in bedrooms, 2-3 tone paint throughout. Extra storage under stairs storage/toy room. Home has extra wide stairways. Basement 90% finished (potential 3rd bath). Deep 2 car garage. Sliding glass door leads to newly stained deck and large backyard with great view. Beautiful landscaping, auto sprinklers, flower gardens, garden box, and sandbox. Park in backyard with basketball court, playground, and convenient gateway to mountainside. Amazing Neighborhood! Perfect location for quick freeway access or to Provo/BYU.Great value, listed under appraised value.